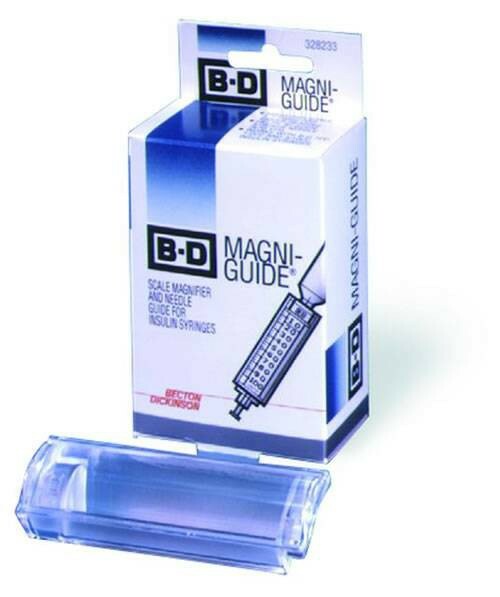 Scale magnifier and needle guide for insulin syringes. 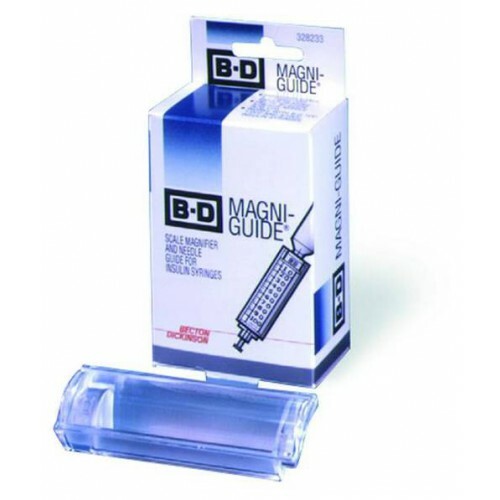 Helps patients with vision or dexterity difficulties to guide needle into vial. Magnification scale of 1.7X for easier reading. Convenient to hold and easy to use. Works with B-D syringe sizes 1ml, 1/2ml and 3/10ml.